This book is refreshing! Lately, I've been extra stressed at work and I was looking for a fun book. Dreamology was exactly what I needed. Now I'll make this quick because this book is so easy to pitch to anyone, there's no point in writing a very long post about it. I'm admittedly a sucker for stories about faux-love turning into something real. 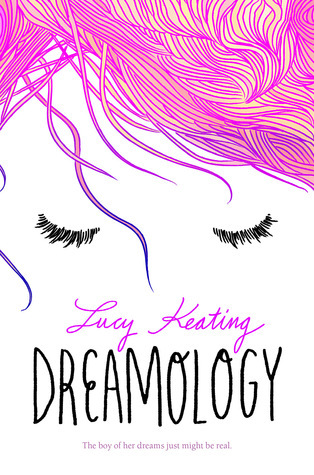 Dreamology is... sort of like that. I absolutely loved the will they or won't they of it all! Is this all going to stay a dream or are they gonna get together for real? The rational decision would be to let it all go. But how could she? She spent her most of her life dreaming about a boy that made her happy and got her through everyday. The fact that he's real but she couldn't have him was frustrating to say the least. Even though Alice was struggling she wasn't moping, which I was very happy about. Honestly, this girl has a legitimate problem (going insane, people!) and she's handling it better than other fictitious characters with smaller problems. *throws shade to overly dramatic YA heroines* There was a good balance between light and heavy moments and I think that really helped me enjoy the book a lot. I especially loved the many witty back-and-forths between the characters. They definitely had me laughing out loud! Nothing like a set of lively characters paired with a fun plot to help me de-stress. The only downer would be the science behind their dreams and how they're connected. There wasn't much explanation to how they were going to fix their predicament. But I guess in the end, you just have to suspend your disbelief a bit. No point in trying to rationalize a whimsical book such as this one. This is the kind of book that you just have to let yourself enjoy and everything will follow. Definitely a must read! I received an eARC from the publisher via Edelweiss in exchange for an honest review.